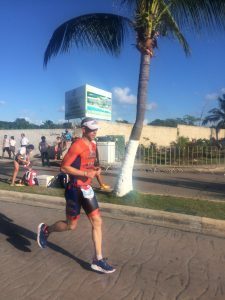 Chris Veilleux has joined Peak Triathlon Coaching! Growing up in Hookestt, NH, I was brought up to love the outdoors, sports and the arts. I was an avid fisherman and hunter and excelled in organized sports like soccer and baseball. I also played the saxophone. I had the opportunity to continue my career as a baseball player in college, but decided instead to pursue a career in music and music education. After my undergraduate and graduate schooling in jazz performance/contemporary improvisation, I found my creative side satisfied. However, I found a need to get in shape and an outlet for my competitive side. I had run a couple road races and enjoyed them. Something about watching my father-in-law race in a sprint triathlon in 2008 caught my attention and I couldn’t shake it. Man that looked fun! So, I bought a bike, got some swimming lessons and the rest is history; I was hooked. I have been a professional saxophonist and woodwind teacher/performer down in the Boston area since 2004. I love teaching and that is where I excel. I get to teach and motivate students to want to practice their instruments, and show them how to enjoy the process of learning, which is the result of mindful practice. This is hard in the day and age of computers, ipads, cell phones and video games. I enjoy the creativity that is required to motivate them to want to practice on their own. This is something that I bring to my coaching. Life gets busy, schedules change on the fly. Having a good, creative coach can help you with this, which will help keep you moving towards your goals as an athlete and a healthier you. Triathlon means so much to me. It has taught me to be disciplined with my training, with my nutrition and how to again enjoy the mindful process of learning new disciplines. I felt that I would be a great coach, like a great teacher, so I decided to become certified in 2015. I am thrilled to be part of Peak Tri Coaching and I am looking forward to working with the coaches and athletes. Remember it’s about the process and if we keep it at, great things will happen! This is me playing a little saxophone. 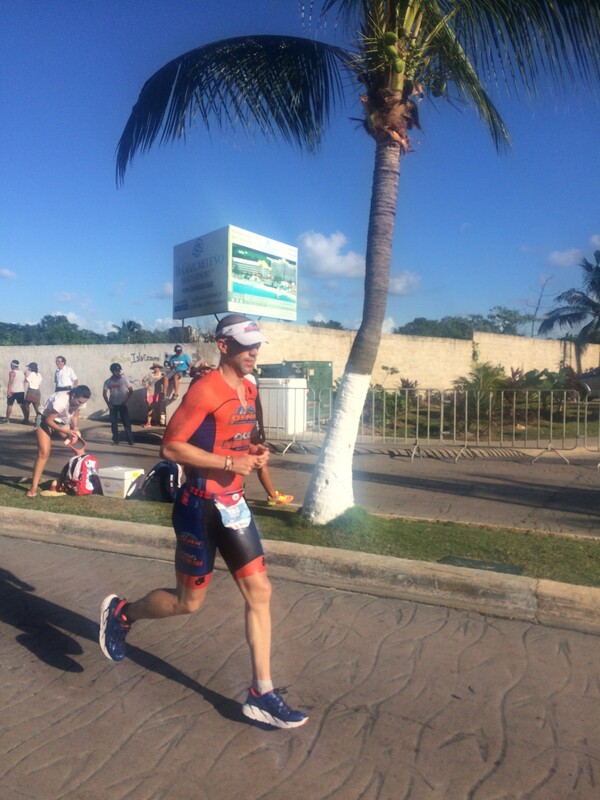 Here is a pic of me during the run at Ironman Cozumel in November 2015. This entry was posted in Chris Veilleux. Bookmark the permalink.